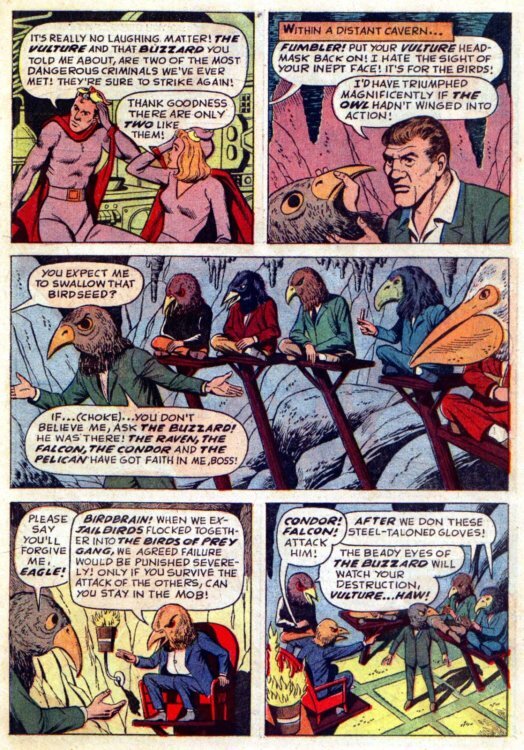 Hero Histories: Reading Room: THE OWL "Attack of the Diabolical BirdMen"
Reading Room: THE OWL "Attack of the Diabolical BirdMen"
...and up the "camp" quotient to the MAX! 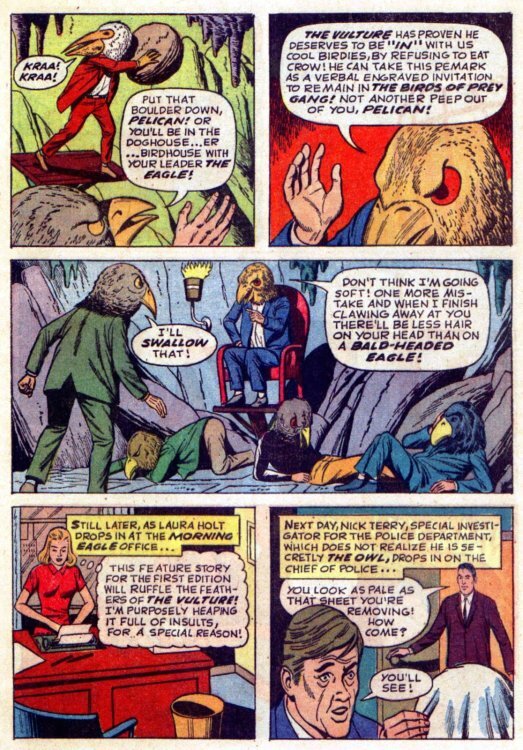 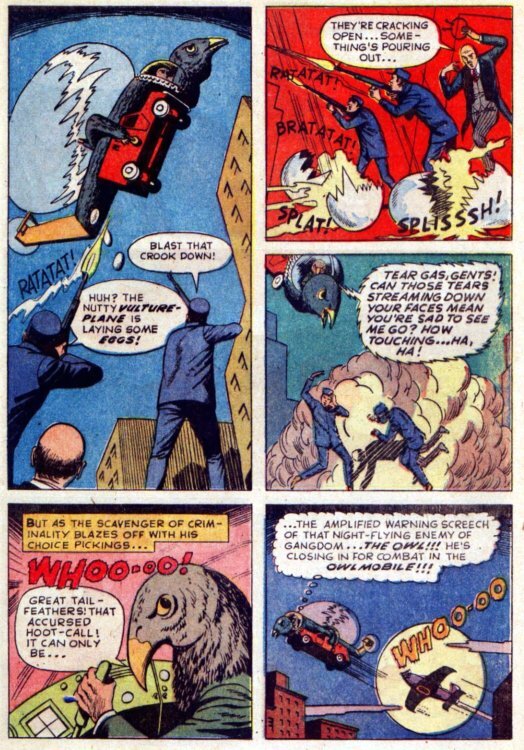 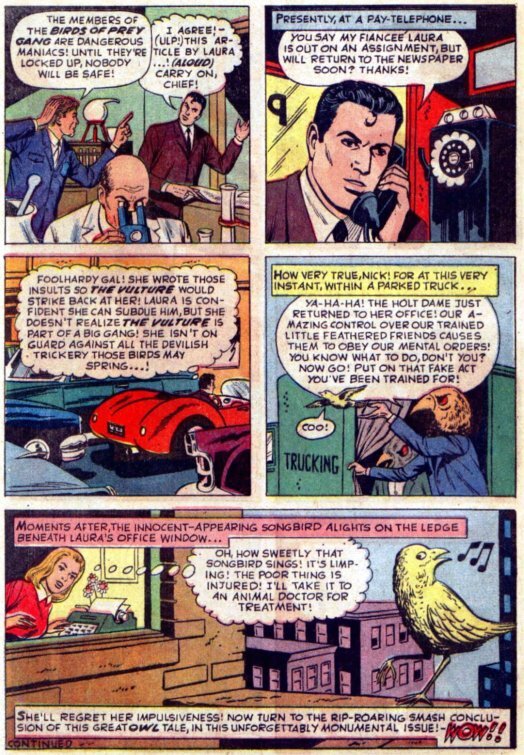 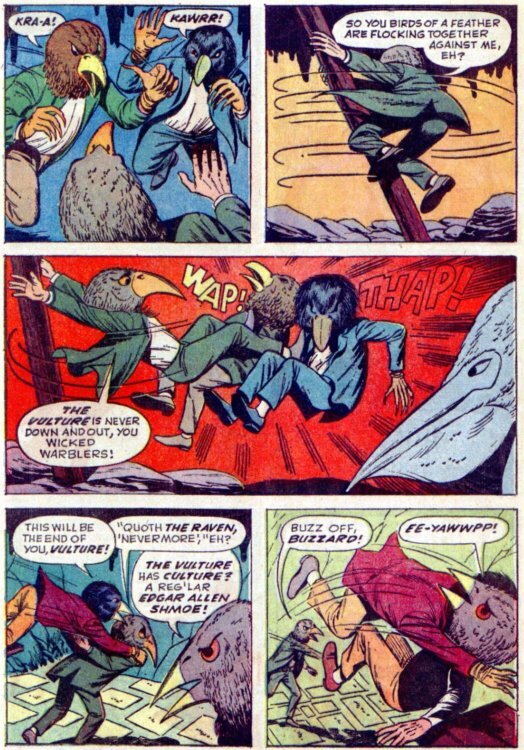 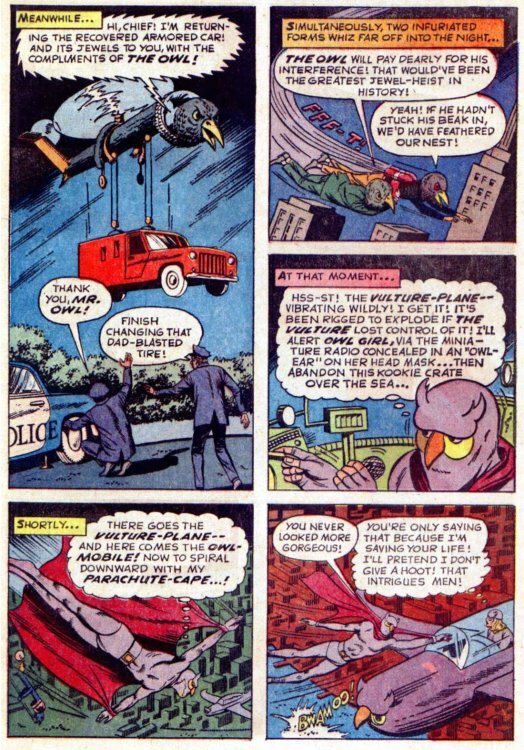 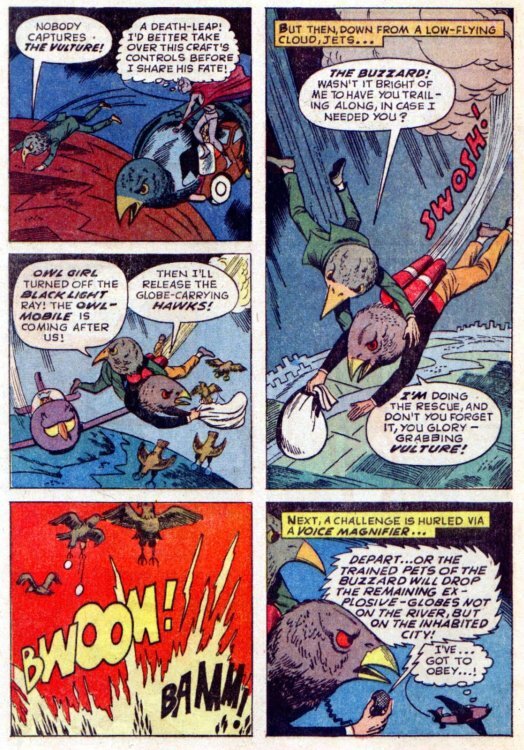 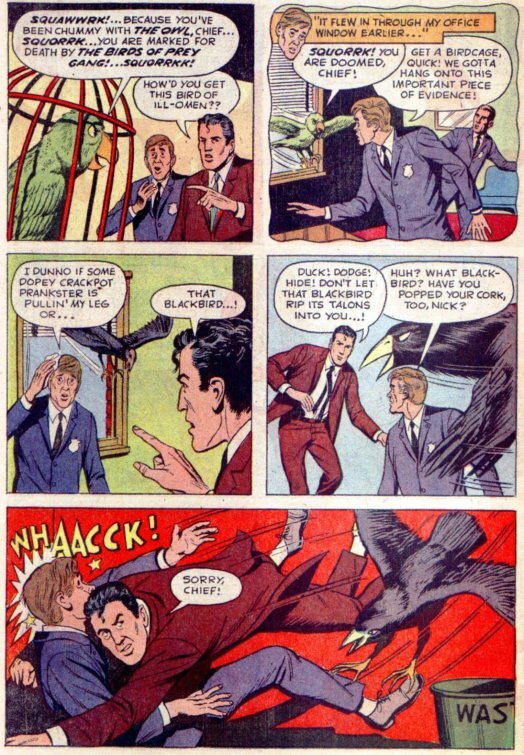 Scripted by Jerry Siegel, and illustrated by Tom Gill, this tale from The Owl's premiere issue in 1967 is a perfect example of a viable concept gone horribly wrong. 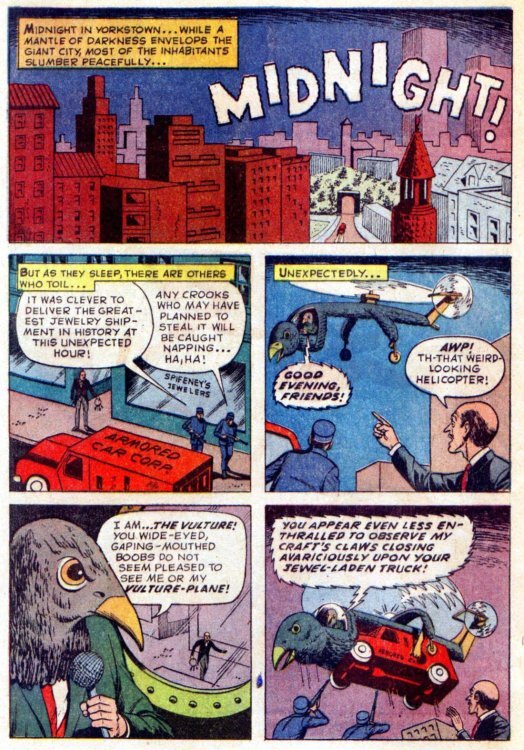 Siegel had been doing similarly-bad pseudo-campy work for Archie's Mighty Comics imprint (including their revival of The Shadow from #4 to #8), with mediocre art by Paul Reinman. 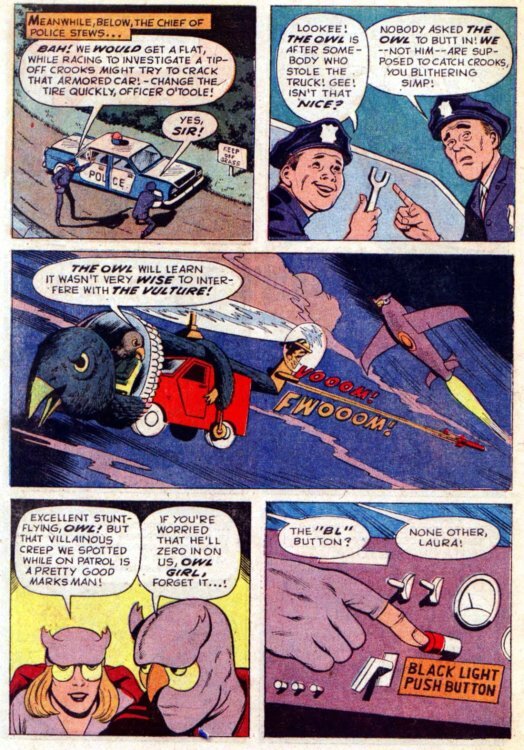 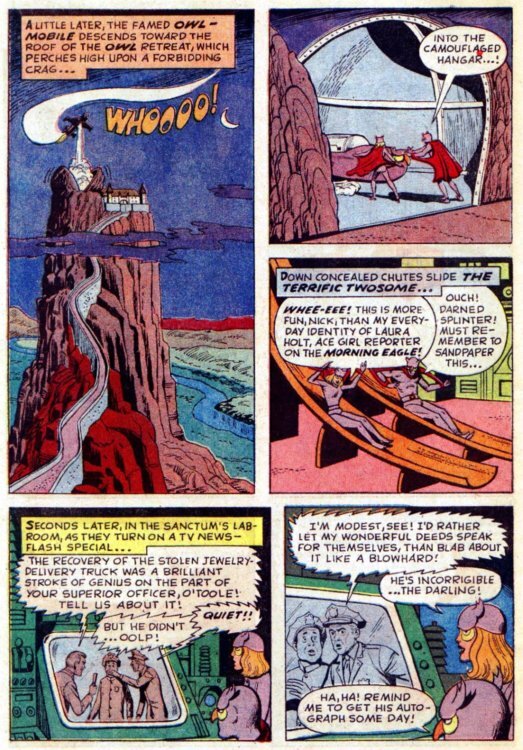 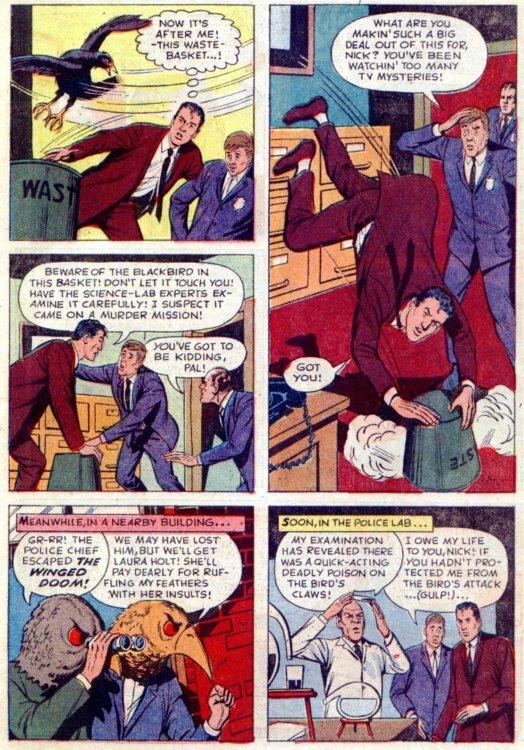 But taking Lone Ranger artist Tom Gill, and making him do a pseudo-Bob Kane/Sheldon Moldoff pastiche instead of his usual clean storytelling was truly the last straw. 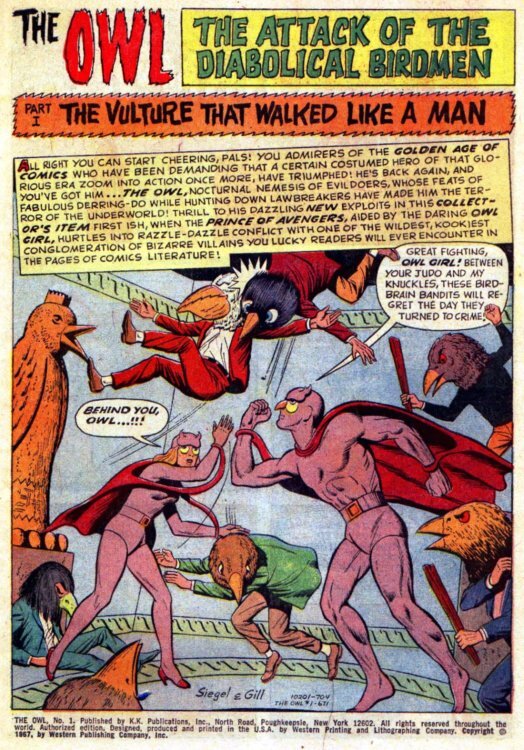 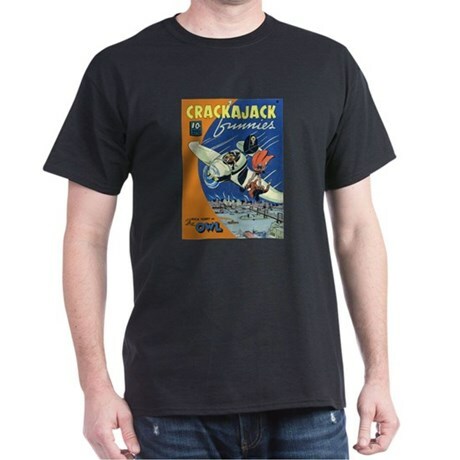 This revival of a Golden Age character would last only two issues! 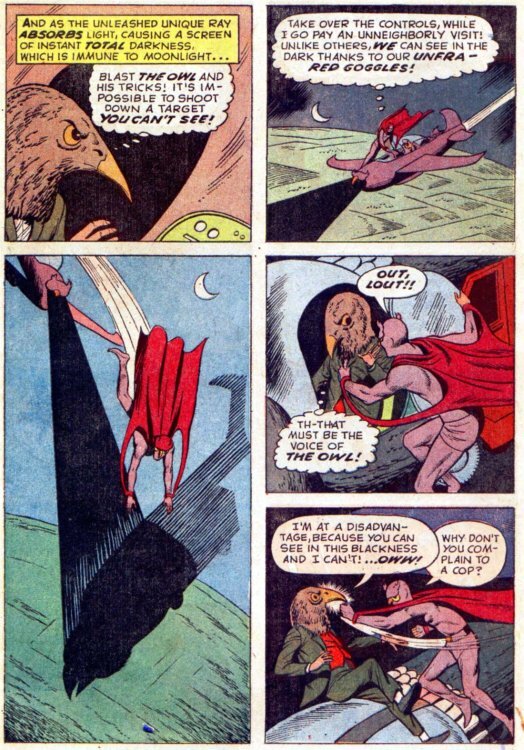 Reading Room: HELL-RIDER "Final Chapter"